This mermaid festoon is so detailed and gorgeous! 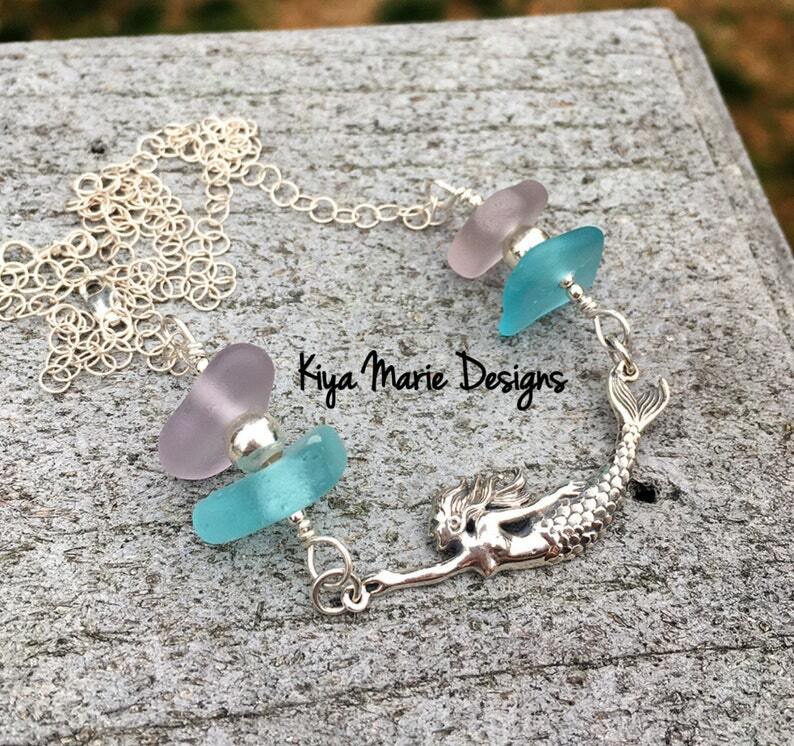 I have added lavender and aqua sea glass from Hawaii on each side of her, as if she is reaching for her sea glass treasure. The mermaid is sterling silver, along with all components of the necklace. I have added sterling silver beads in between the sea glass for accent. The necklace can be adjusted to different lengths, as the clasp can be used anywhere on the chain. It hangs at 22" at the longest.